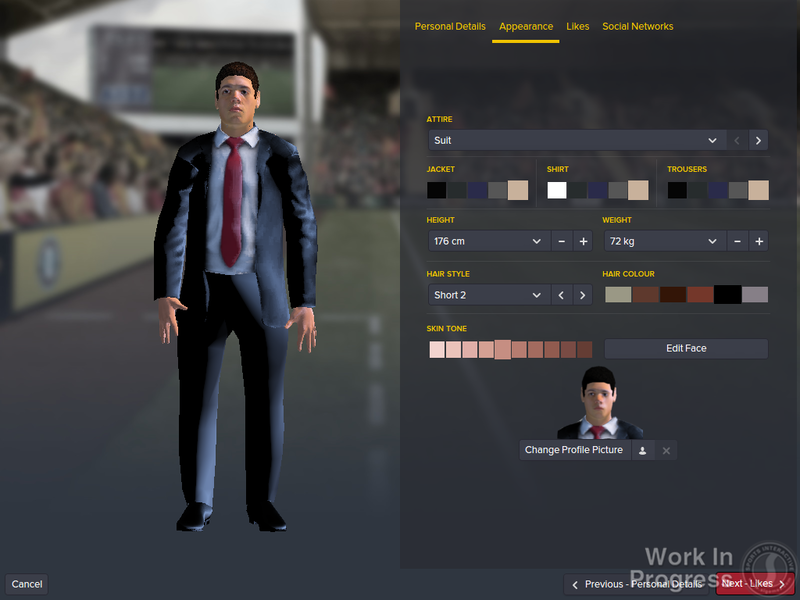 Sports Interactive have just announced (September 7th) Football Manager 2016. The announcement arrived a month earlier compared to last year (early October), but the pre-order has been significantly delayed this time (started late July for FM15). They had revealed a couple of new features during the previous months though (Manager Motion Capture and Dynamic Rivalries). Miles Jacobson insisted that their target for new releases remains the same and it's about having at least a thousand new features in the game every year. 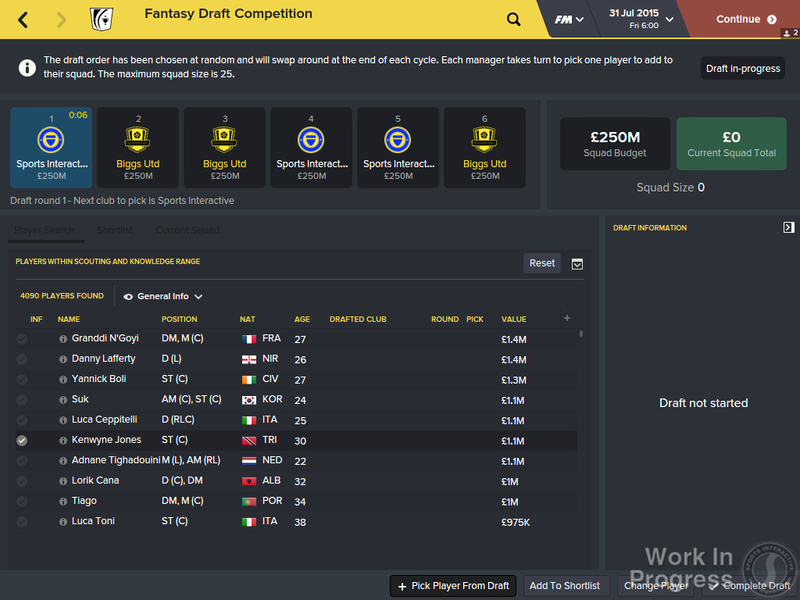 So what news exactly does the FM 2016 announce have for us? 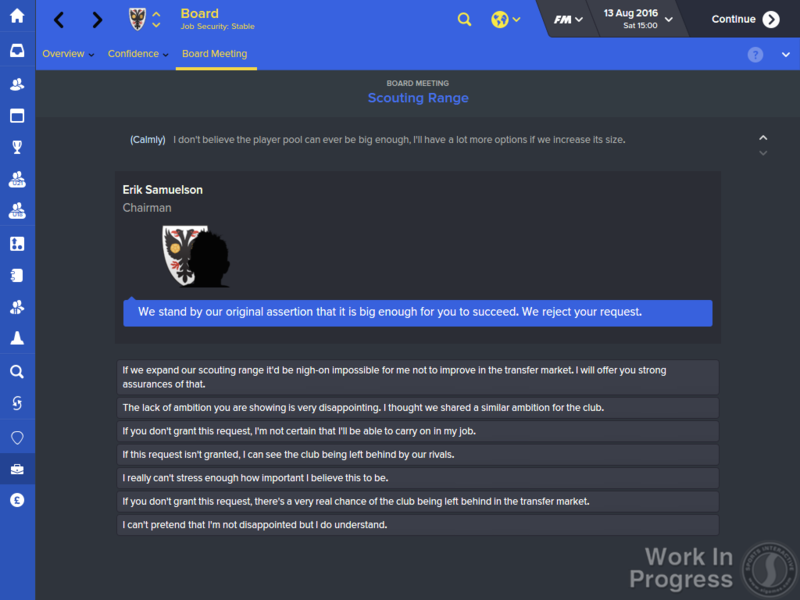 First off, FM16 will be released in November. What about the key new features though? Read on to find out. 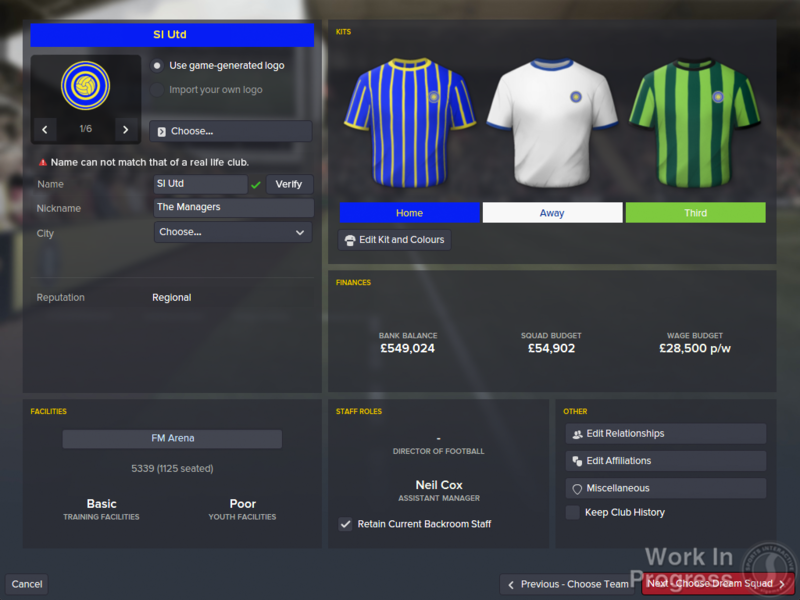 For the first time, Football Manager 2016 allows fans to add their own custom-built club to any league they choose, through the single player ‘Create-a-club’ mode. Create-A-Club allows you to name the club, add yourself and a friend to the line-up, edit the squad to your heart’s content and even choose the colours. A little secret regarding Fantasy Draft mode - it's for up to 32 players. Won't be touching it with a bargepole there's just been too many frustrating bugs to be forking out for the new one. Yep, will wait a little longer before buying it, will check sigames community forum to see if there are any gamebreaking bugs. I will buy it, play it briefly and then have the standard yearly hissy fit about how the game is sh*te compared to the previous one, not load the game again for ages and then BAM! Out of nowhere I will get addicted to it for a while wondering why I didn't give it a chance sooner. Fix the f**king AI for God sake instead of these cosmetic upgrades. Exactly my opinion also. Match Engine, AI, player interactions and injuries should be on top of the list of improvements every year. I will be buying it for the first time (used to play it with a crack ), if there are bugs, will updates improve or correct them? I don't give much thought to what will be changed really. I know I'll buy it anyway, so I'll see the changes when I have the game installed on my computer. I bought the last 3 ones on pre-order, for this one i'll wait to read the reviews, because on the last version it had some gamebreaking bugs on release day. But will they update them? Judging by the screenshots, think they've tinkered far too much with less relevant parts of the game. They don't look good, either. An improved match engine was the utmost priority. Still waiting eagerly for it though. Love the game. Going to be some new bug in the game. If it isn't rebound goals or having 30 shots and losing 1-0 it'll be something else. But hey, at least they changed how the skin looks even though tons of people download a new one if it looks sh*t anyway. This skin does look sh*t, doesn't it? I always prefer a white skin. It's much easier on the eyes. Maybe you'll be able to get a player for the right price and not an absolute steal or a ludicrously high amount. That would be nice. What are you on about? 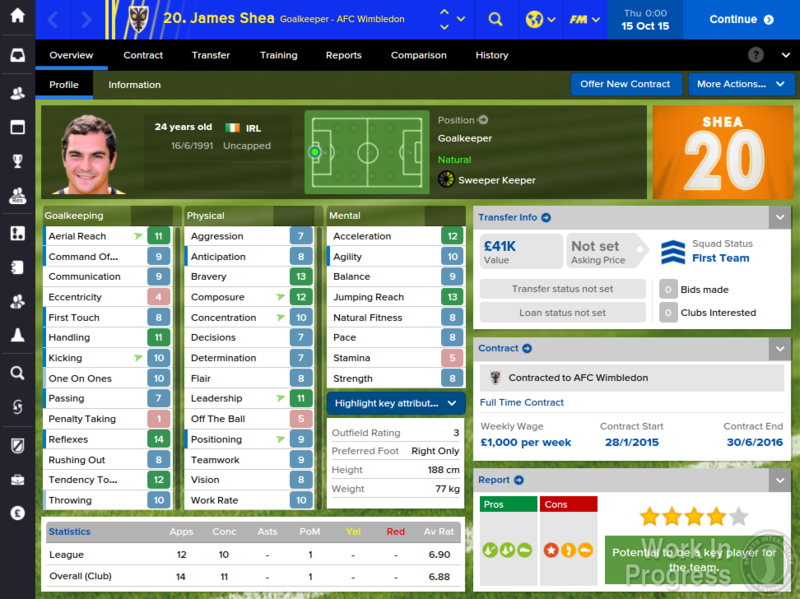 £87m for a 16 year old regen is a bargain!!! The amount of times I get quoted prices like that. What's annoying is they go for a fraction of the price to some bugger else. The pre-order is available I'm happy. I have started my game with Swansea. God dammit. Exams in 2 weeks and this happens. 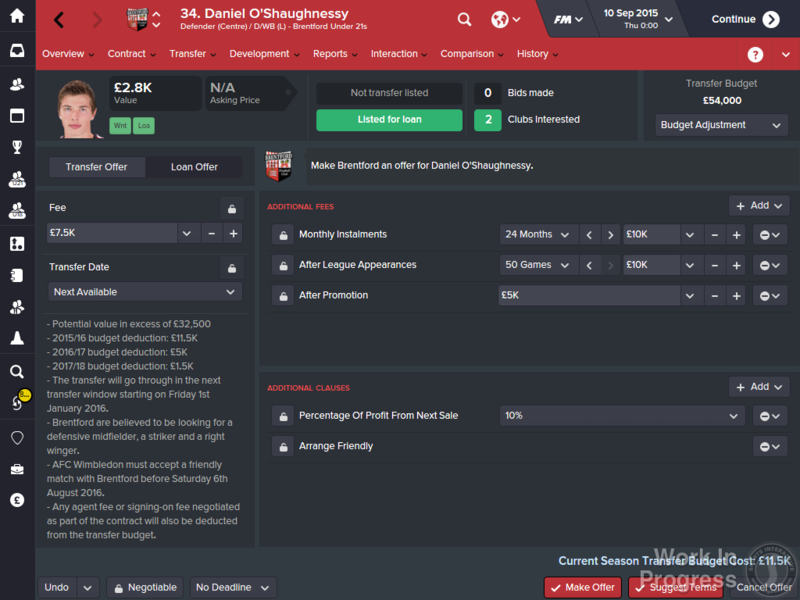 So instead of studying, i've completely my first season a Liverpool boss already. Bunch of Redknapp style wheeling and dealing has left me with Carvajal, Jesus, Andrija Zivkovic, Geronimo Rulli, Ruben Neves, Iñigo Martinez, Gibbs (loan) and Cheryshev (loan) coming in to the club. Jose Enrique, Simon Mignolet, James Milner, Martin Skrtel, Jon Flanagan, Danny Ings, Adam Lallana, Dejan Lovren and Kolo Toure all out. 3rd with a couple of games left but can't go any lower and may sneak past Chelsea in second but meh. Won the League Cup, as well. Hopefully land a left back, roaming playmaker and striker for next season. Berahino will be available with WBA going down. Might go for him. You got any British players left? It's got a nice few added features. Has a screen where you can see all the top league ladders at once which is a nice addition. 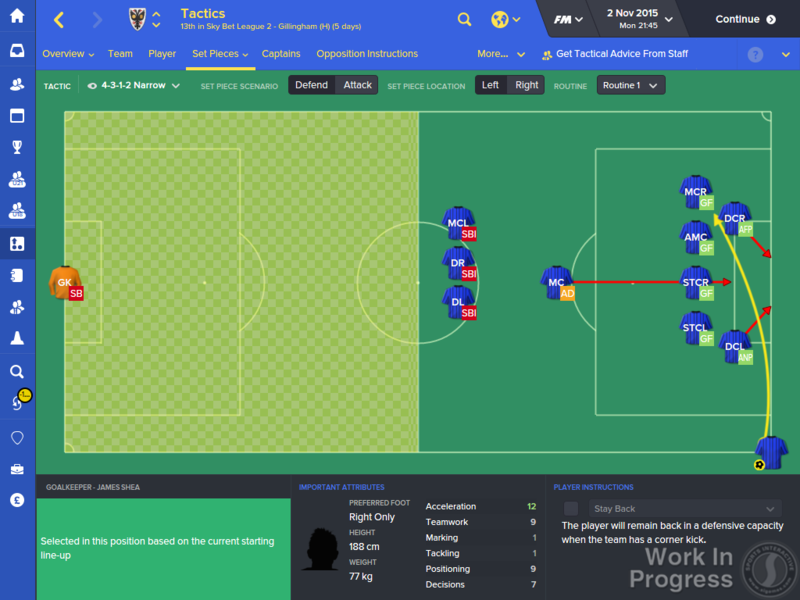 Tactics screens look more visual. Layout gets a bit of getting used to but fine. Not much different, really. 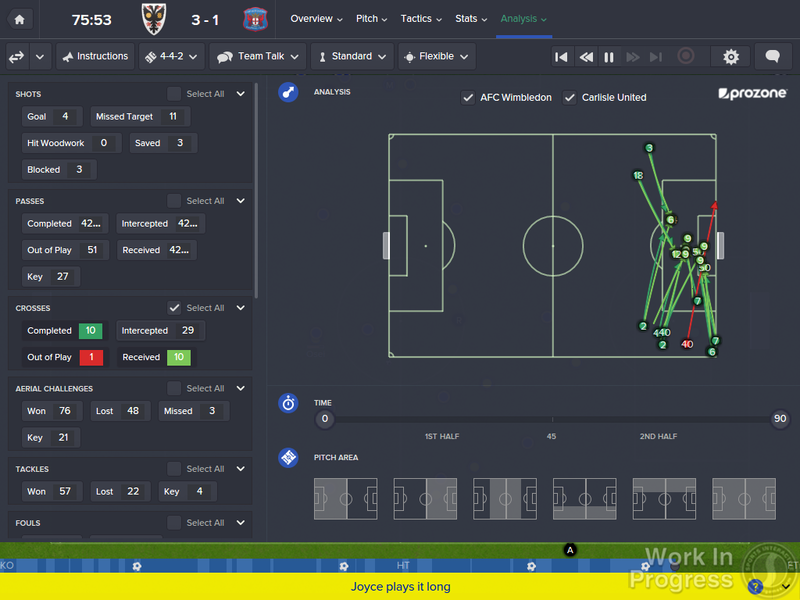 Game plays largely the same as FM15.